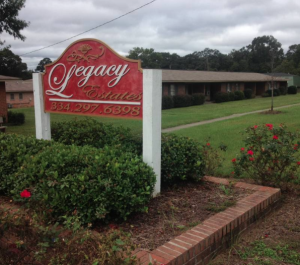 23-year-old Rakiem Jones was reportedly shot and killed during a robbery at the Legacy Estates Apartments in Phenix City Monday morning, October 5, 2015. According to The Columbus Ledger-Enquirer, two armed assailants robbed Mr. Jones at the Legacy Estates apartment complex before one of the suspects opened fire, striking Mr. Jones in the abdomen. Police have since charged two suspects in connection with the shooting, which reportedly “marks the fifth homicide this year in Phenix City.” A 19-year-old girl was killed in a Phenix City shooting less than a month ago, per media reports. While relieved the alleged assailants are now in police custody, The Murray Law Firm is questioning whether a potential apartment security lapse may also hold responsibility in this tragedy. Residents and guests of apartment complexes have a right to feel safe and secure while in the community, and The Murray Law Firm questions the level of security provided to those on the Legacy Estates property. How did the gunmen gain entry to the property? What access-controls and security measures, such as gated entry, fencing, surveillance cameras, bright lighting, and security patrols, were in place to protect residents and guests and deter crime? Have there been prior incidents of violence on or near property and, if so, were any additional security precautions taken by the Legacy Estates owner and management? By law, apartment owners are required to protect all residents and guests legally on the premises from any foreseeable harm. Should the facts of this matter reveal that the apartment complex owner or management company failed to provide adequate security, the family of young Mr. Jones may elect to seek justice and pursue a legal claim for his wrongful death. Given the complexities of pursuing a negligent security case, it is imperative that the family retain an experienced attorney who can ensure the preservation of any and all evidence that may support such a claim. Based upon its prior experience in handling apartment security negligence claims, The Murray Law Firm suggests that photographs and a thorough, unbiased inspection of the property will need to be performed immediately, before any evidence may be repaired, damaged or destroyed. The Murray Law Firm has an extensive and successful record representing victims of violence and security negligence. 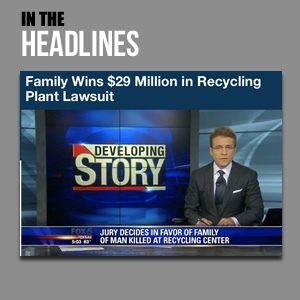 We have recovered millions of dollars for our Clients, and recently obtained a $29.25 million dollar verdict for the family of a young man who lost his life on an unsafe property. We offer our legal assistance, if desired.